My mom is retiring in 2 years and if you know either of us at all, you know we love to plan a party. So we are already thinking up ideas. 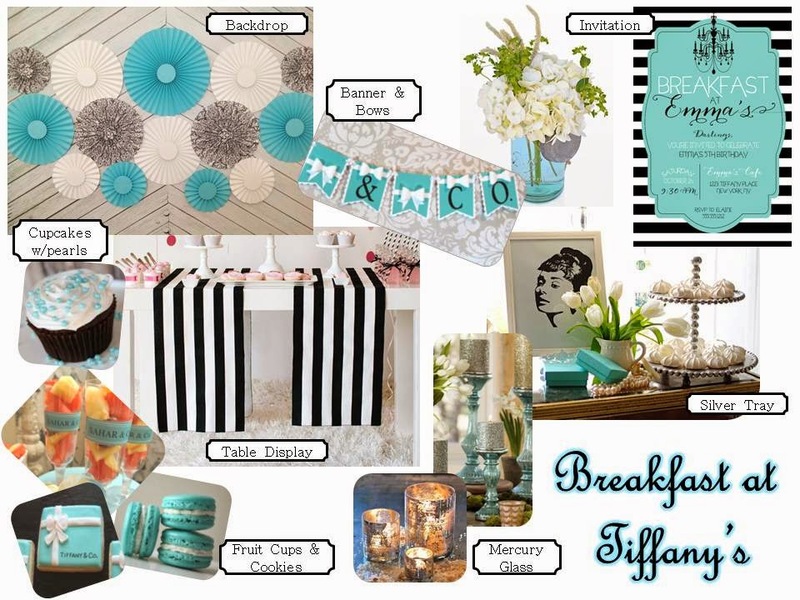 She came to me with one idea for a Breakfast at Tiffany's theme to celebrate her retirement / birthday party. 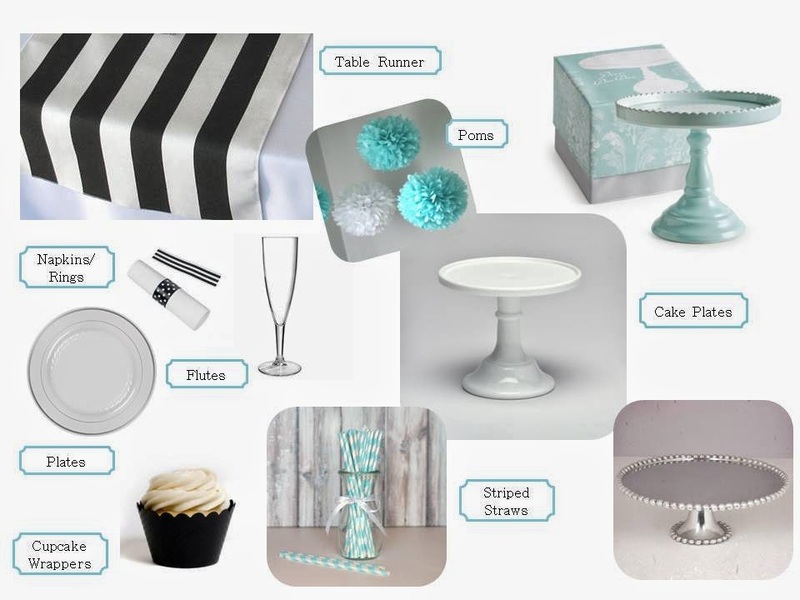 I know it is early, I couldn't resist putting together an inspiration board. If anything this will help to decide and settle on the perfect theme for this momentous occasion! I am so incredibly proud of my mom for all she has accomplished in her career. She started working for the federal government at the age of 17 and is still working there today. That is true dedication, and in two years she will finally get to say good-bye to that chapter and move into retirement. Let the countdown begin! ~ Tiffany Box Cookies by Ooh La La Baking Co.